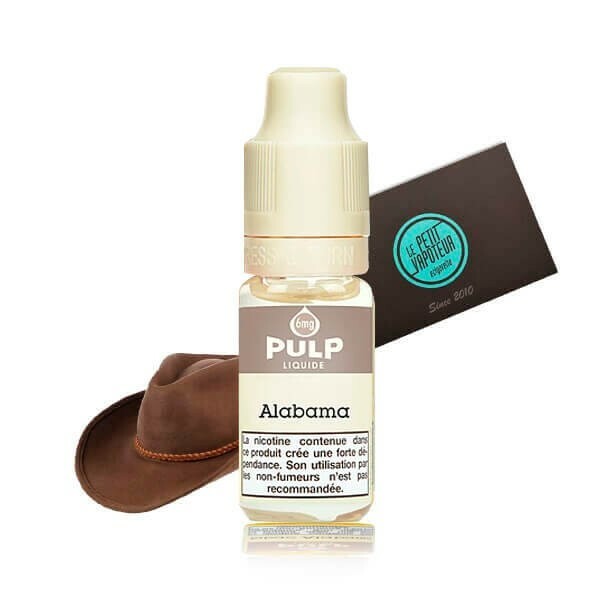 The e-liquid PULP CLassic Alabama offers a Blond American Tobacco with harmony, warmth and depth. Valued for confirmed vapers, this liquid proposes an anounced hit. Lade in France by the brand PULP, this liquid with the Tobacco aroma is a success at all levels. Try it and let yourself be conquered by its stong character. "Un vrai goût de tabac blond, très agréable car pas trop aromatique, contrairement à d'autres qui donnentl'impression de vapoter du parfum"